Time for another attempt at using up the massive stash of paper… so time for another one sheet wonder. This time I selected the one piece of International Bazaar dsp I had left. 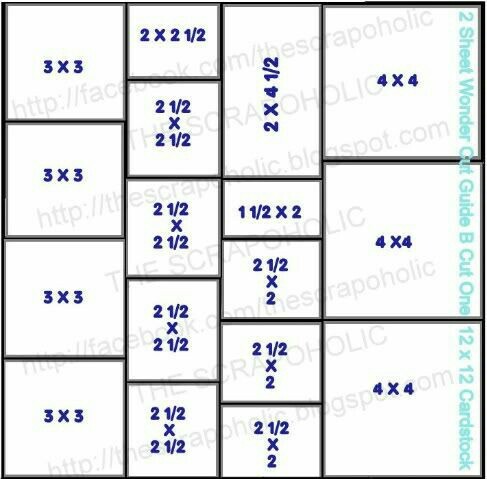 I actually only like one side of this paper so know they will all be blue cards. I also grabbed dome soft sky cardstock for mounts as I had some slightly damaged sheets. I followed a Osw cutting guide I found on Pinterest. I started with this and created some mounts to go with it. 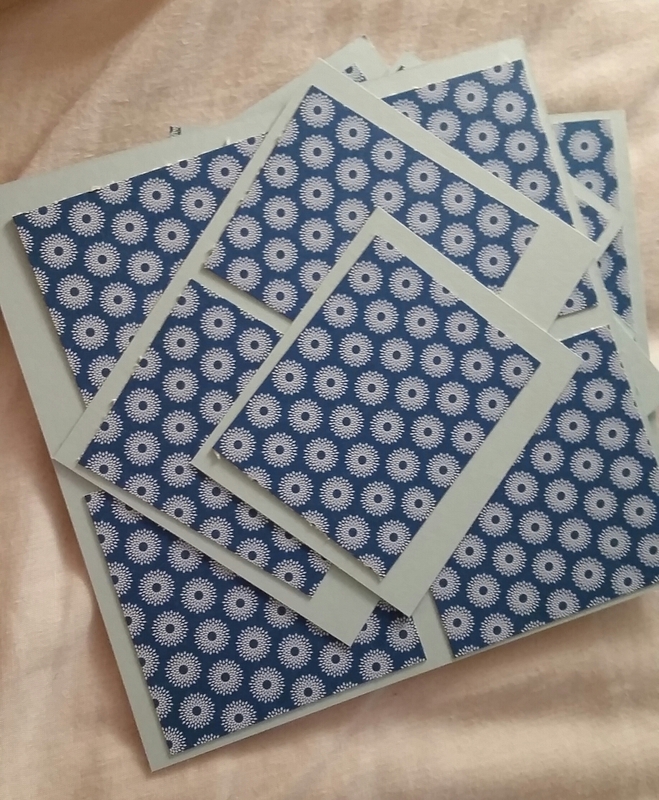 Next I popped them with some card blanks into envelopes. This way I knew I had an easy project to pick up and run with when I wanted to! Why not try this yourselves? It makes life easy! 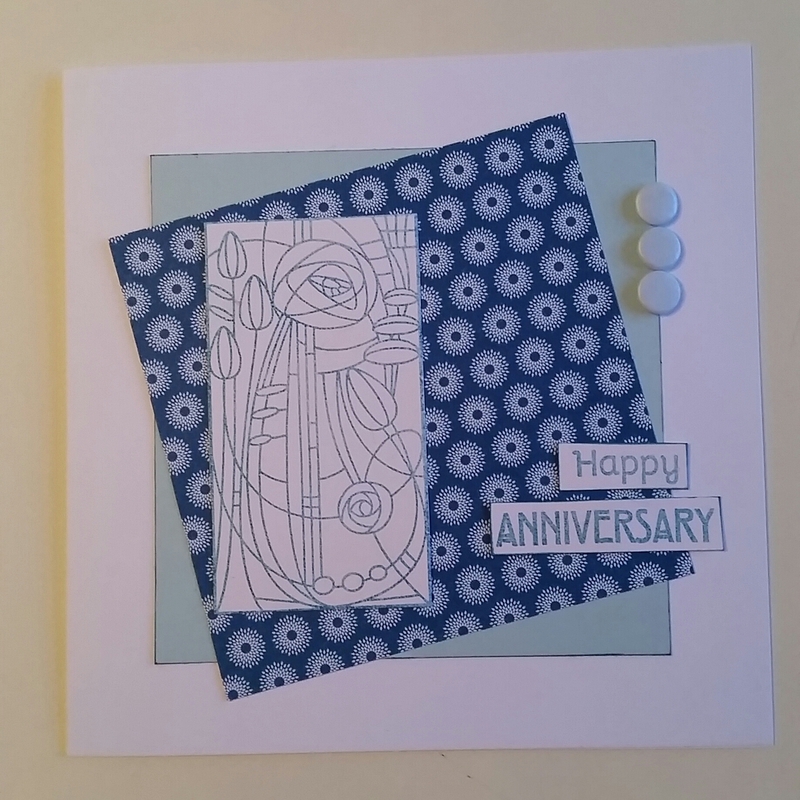 I got this fab set of Art Deco stamps with the Creative Stamping magazine and wanted to use them so that’s where I started with these cards… three with the same panel and same pieces of dsp and cardstock… but put together three different ways. 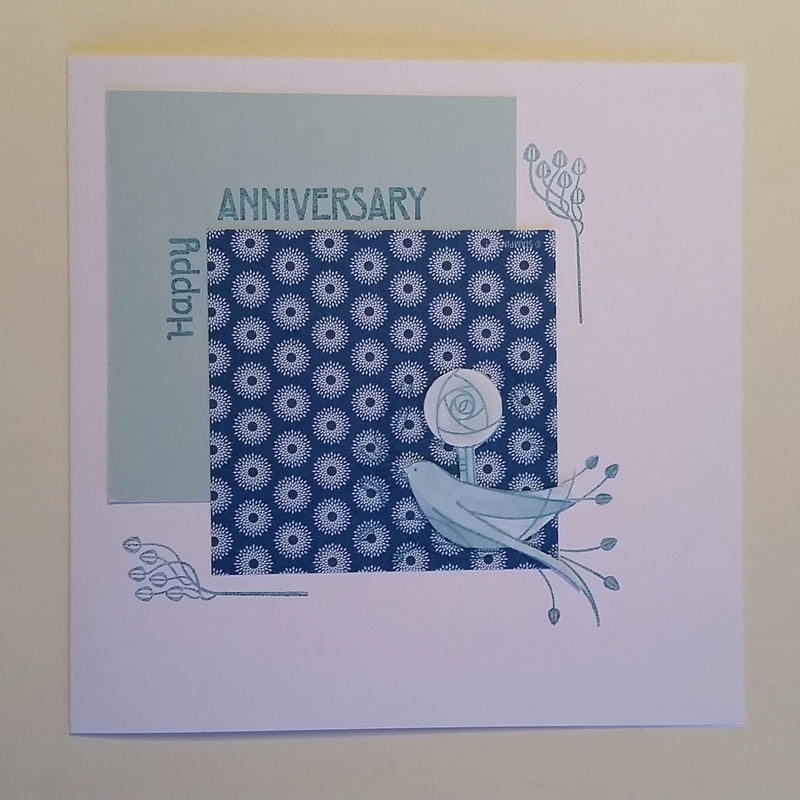 The Bird stamp is actually a circle with the Bird and flowers but you can’t see it against the patterned paper and I only wanted to paper piece the Bird and flower onto white cardstock and colour them with the ink and water. 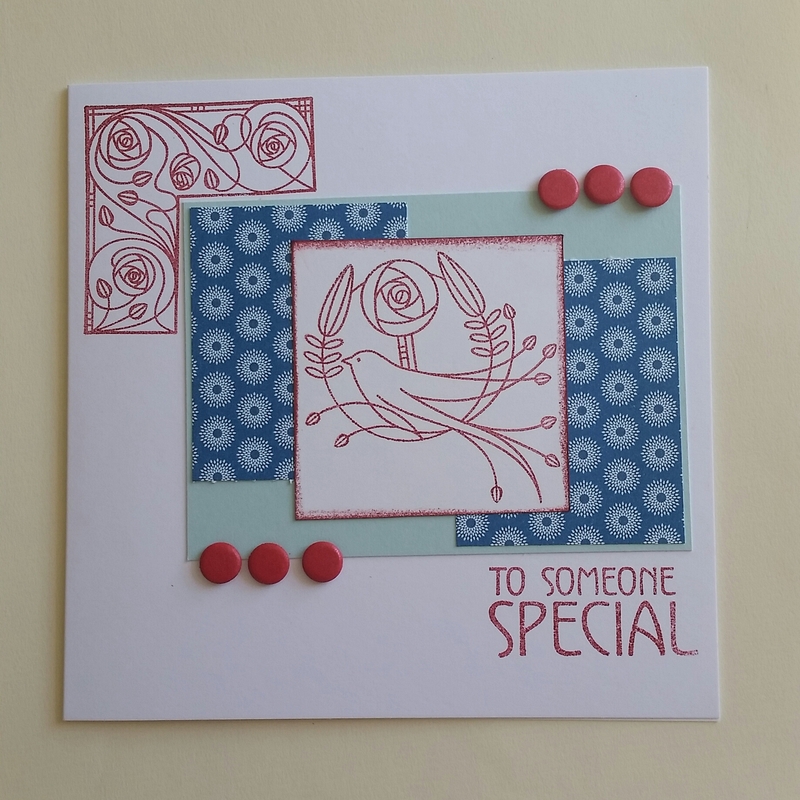 I kept on with the Bird stamp but on these chose to do the whole image. This was using raspberry ripple as the other colour. 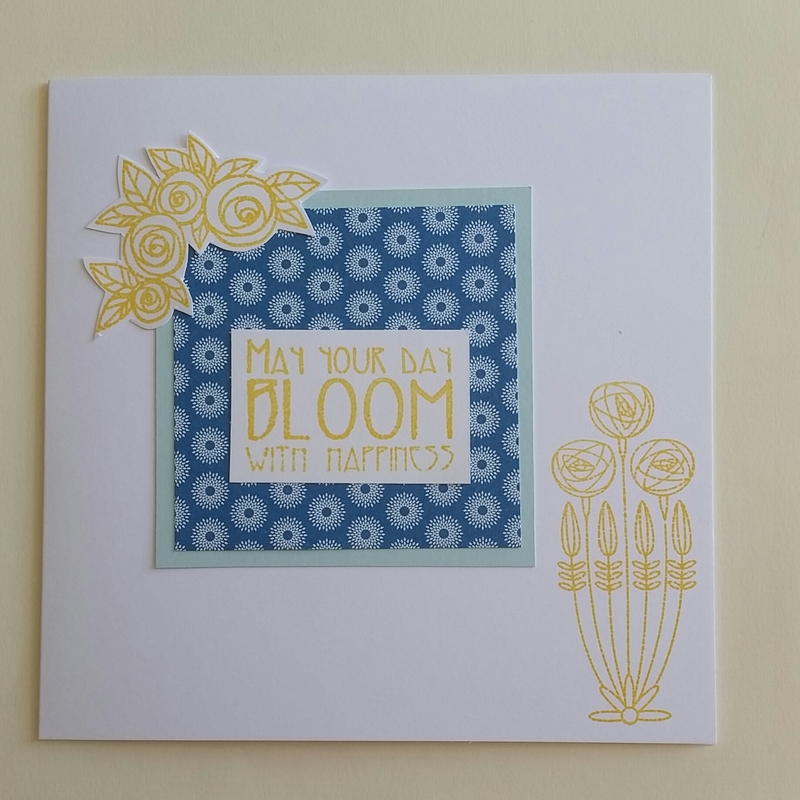 This was using Daffodil delight and a little but of calypso coral for the shading. 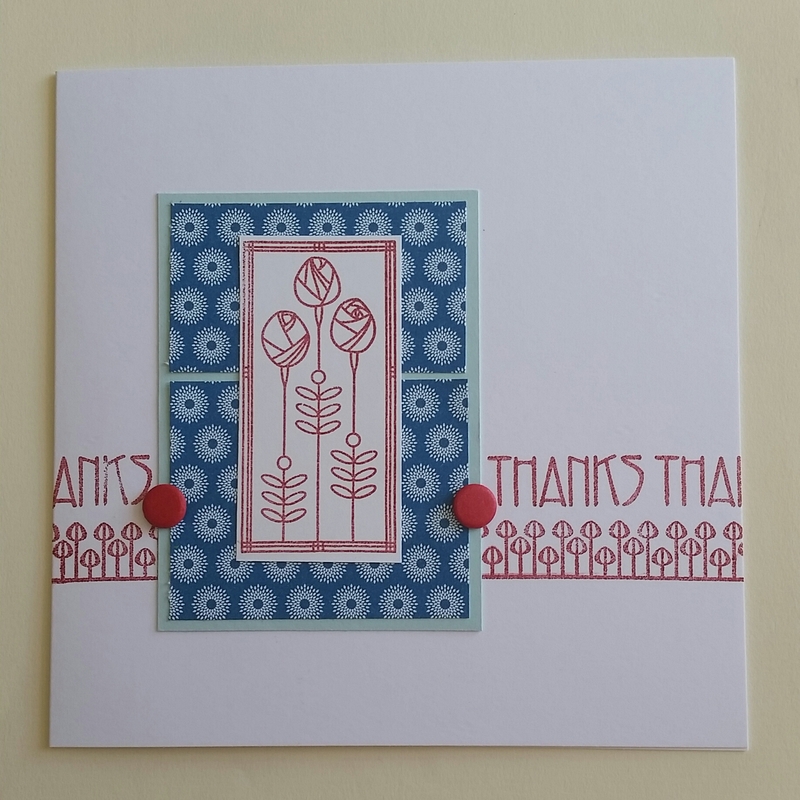 This is my favourite of the stamped images I think. 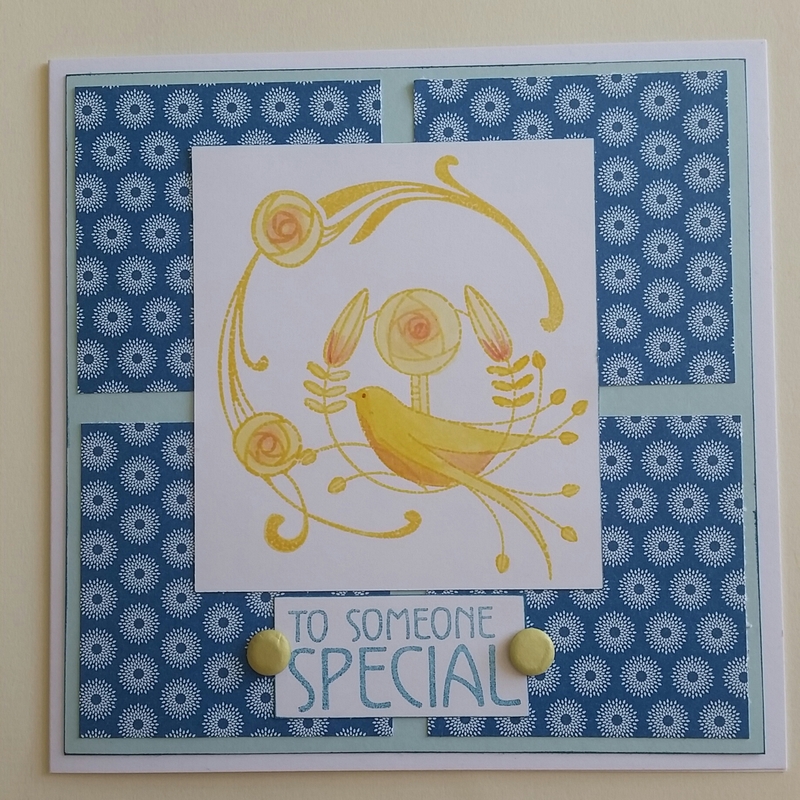 This one I used a different panel stamp and then repeated the sentiment to go with the border stamp. 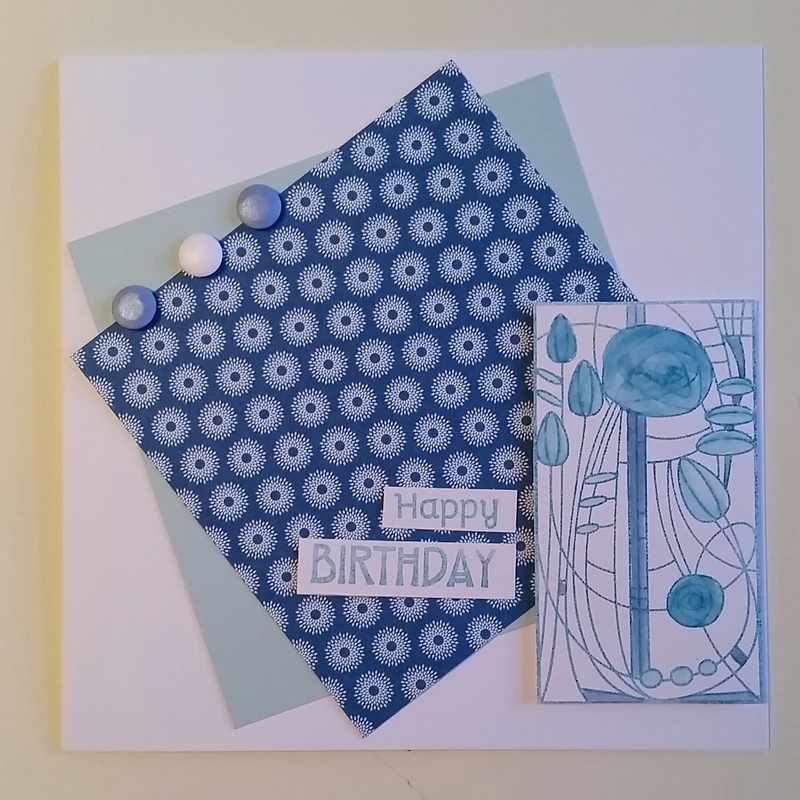 This one I used that fab corner stamp again. 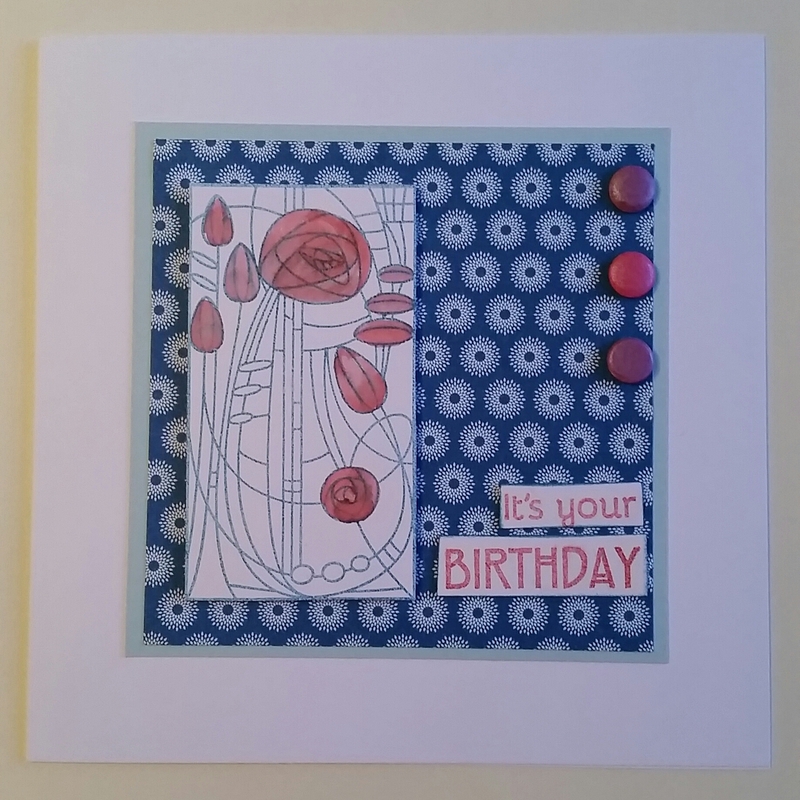 This was another of the larger images which I created a panel from and then also added the border stamp. On this picture it looks wonky but doesn’t in real life so not sure what happened there. 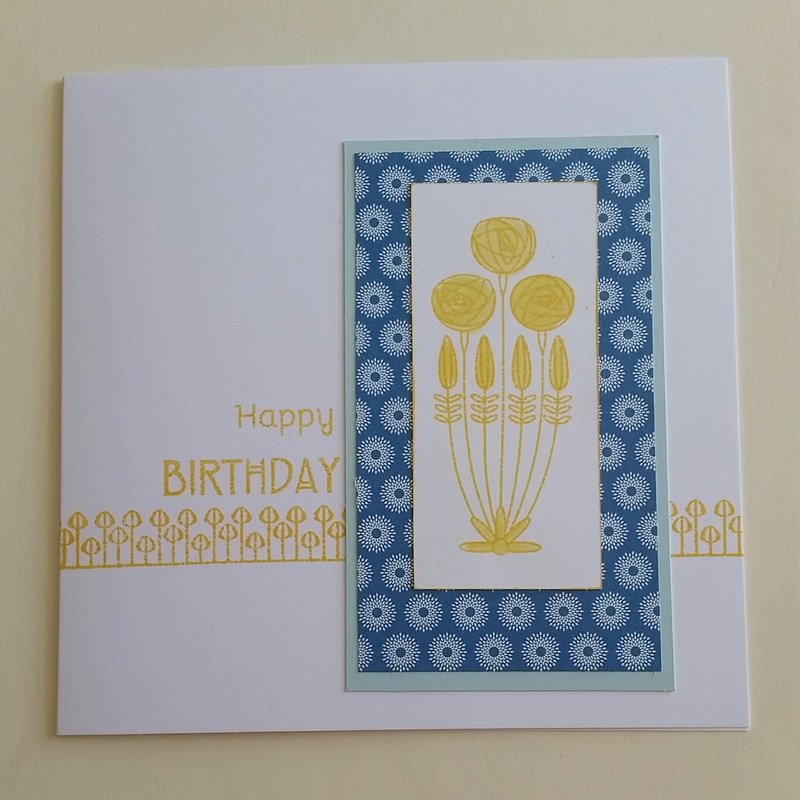 Finally I let the sentiment take centre stage and added the pretty roses to one side fussy cut and the bouquet onto the card blank on the other. 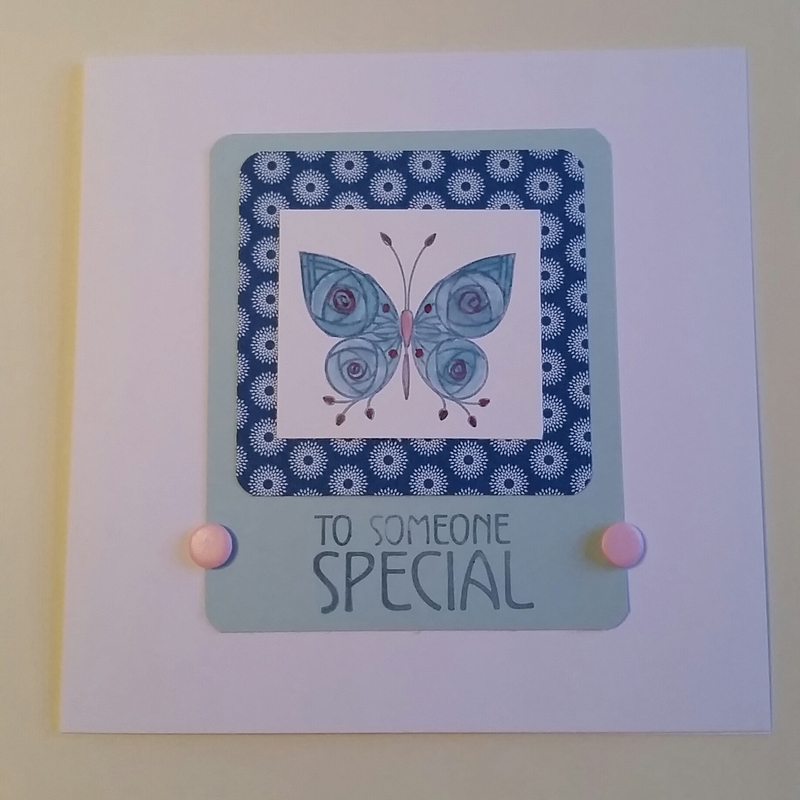 I must admit I love these stamps and so I am glad this OSW allowed me a good trial with them. 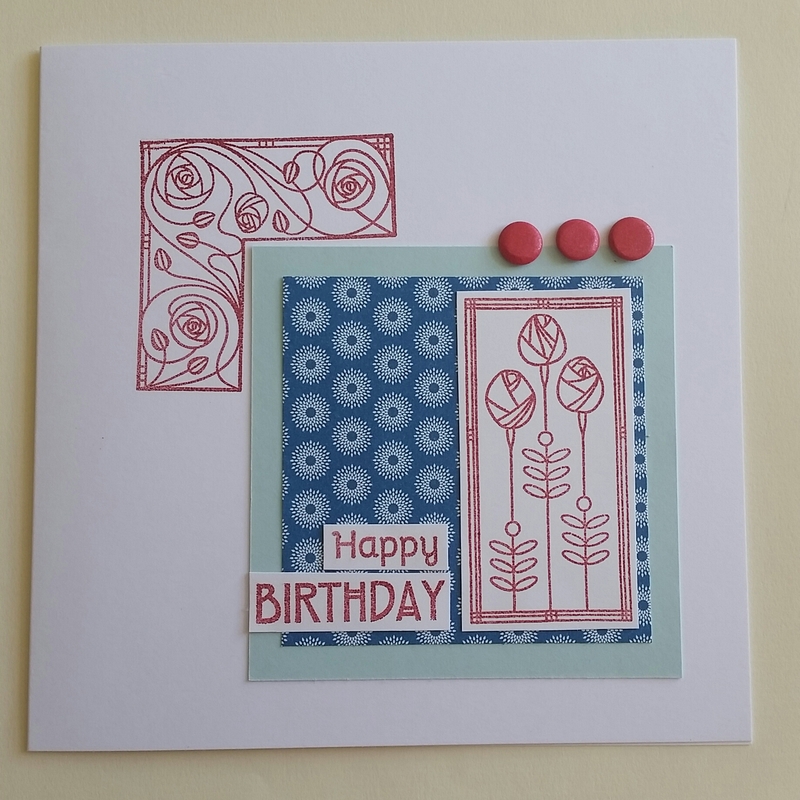 Thinking that some stamping and heat embossing would be good for these stamps too. Well it’s another piece of dsp used to good effect and another project completed. This year’s Use it up is going well!